Connect one end of the HDMI cable to the HDMI port of your 4K Whole Home PVR. Note: It is important to use the supplied HDMI cable, as an older HDMI cable may not support 4K resolution. Connect the other end of the HDMI cable to the HDMI port on your TV. Note: It is important to use the proper HDMI port on your TV. While some TV models may have multiple HDMI inputs, not all the inputs will support 4K resolution. Check for a HDMI port labelled HDCP 2.2 or HDMI 2.0. If you are unsure, refer to the manufacturer's user guide for your TV for further information. 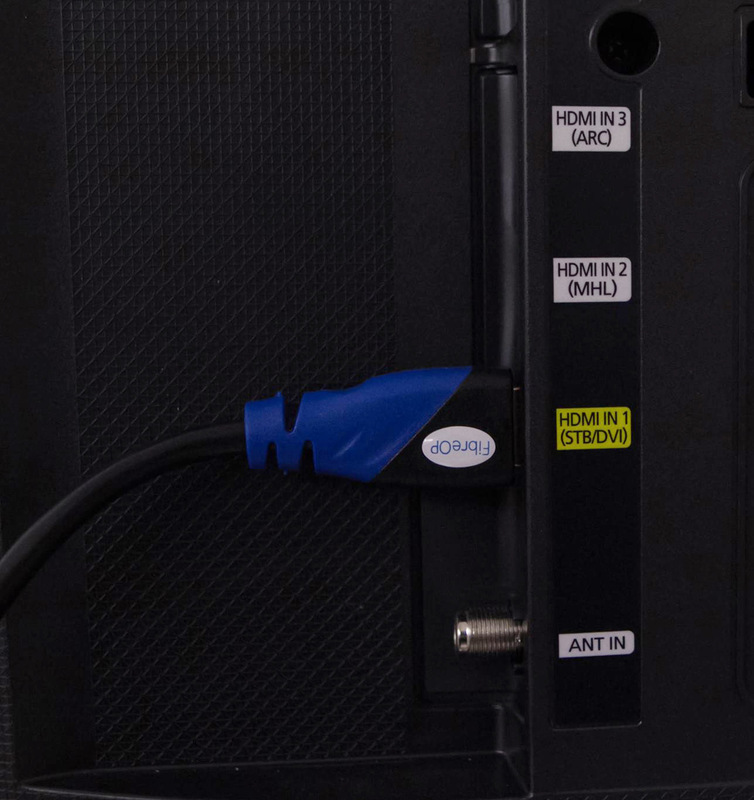 For enhanced audio, you can connect an optical audio cable (not supplied) to the optical output on the 4K Whole Home PVR.